There is a special mission for the IV AC 1 Sentinel and VI AC 4 Experimental where you can earn a White Kangaroo emblem for your vehicle! 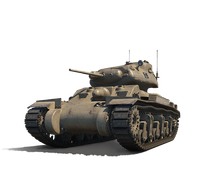 If you don't own those vehicles yet, get them from the Premium Shop now at discounted rates. Note: The AC1 Sentinel and AC 4 Experimental will be in the Premium Shop till 09 February. However, don't miss out on the White Boomer mission for your White Kangaroo emblem! The mission will end on Monday, 29 January. Want to get the White Kangaroo and White Kiwi emblem with standard vehicles? Use bonus codes to unlock the missions. Full details below! 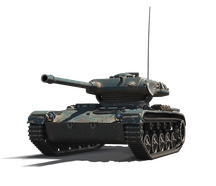 Small and speedy, the ELC Even 90 is an ideal scout vehicle. 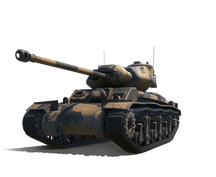 It is a Tier VIII French light tank that excels as a mobile spotter and is equally effective lurking in the shadows. Use it to pick off unwary foes. At the start of games, look for hiding spots you can use to report enemy locations while assisting your heavier brethren in weakening enemy vehicles from a safe distance. Shots coming your way? Show enemies some fancy driving and a nice burst of speed! The ELC Even 90's tiny profile is not just good for hiding - it makes you a really hard target to hit while on the move. As the battle reaches its later stages, it’s time for you to pounce on wounded enemies and put them out of their misery with your 3 shell auto-loader. All First Victories will grant a x3 EXP bonus (was x2) for the duration of this event. Be in the Top 3 in your team for EXP earned in a single Random/Grand battle.